"This book represents, at last, the beginning of a new cycle in our architectural practice, in which many of the questions outlined here should be corroborated..."
What allows all this to happen is that Guallart's ideas are clear. This is particularly useful since they all represent complex thoughts, phenomena, and conceits. It is the unabashed beauty of the conceits, and their integration into the research and buildings, that open the ideas up for discussion, preventing them from ever becoming declarations or unexamined dogmas. We expect some of the several dozen concepts in the first part of the book (full of ideas like geomorphosis, arborescence, re-urbanizing, ringing) to disappear as Guallart's firm exhausts their usefulness. The second part of the book is a project-by-project account of the firm's favorite projects, some which you may be familiar with just by reading this site. And what projects they are: a range from swoopy mountainbuildings (a few of which need to get built) to a simple house, the built work is exhilarating, even when it's as simple as the wood decking of the Microcoasts project. Even if you've seen them before, they are placed in powerful context of the firm's inquiry by being cross referenced to the appropriate ideas in part 1 of the book. It's a technique we've mused on before, and one that we continue to think works well in this format. The second part of the book includes outstanding drawings, ranging from plans to diagrams, as well as well-edited set of photographs. 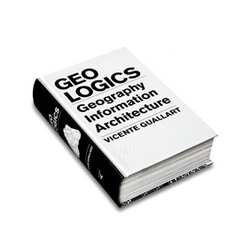 The book is another must have for the practicing architect, theoretician, or architecture fan. This book is available at Amazon. Your purchase supports this site.